Sad news for horror fans. 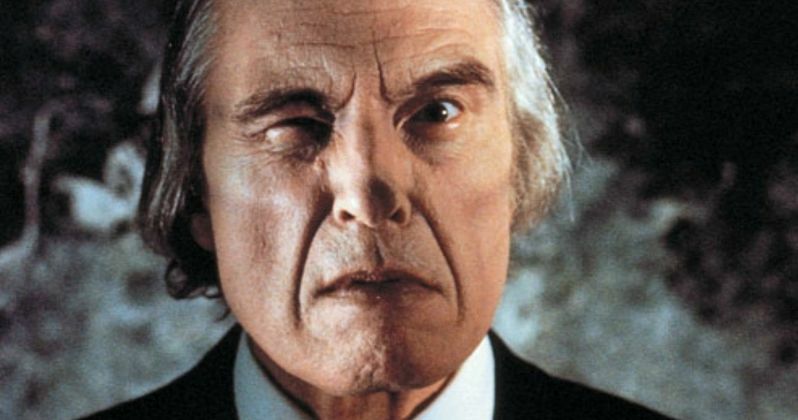 Angus Scrimm, the veteran character actor perhaps best known as The Tall Man in the Phantasm franchise, has passed away at the age of 89. He is also known for his role in the 2008 horror movie I Sell the Dead. He had a recurring role in the TV series Alias. And Angus Scrimm was also the voice behind the spooky audio play series Tales from Beyond the Pale. Phantasm director Don Coscarelli, who is a friend and long time collaborator of Angus Scrimm, notified EW of the actor's passing on Saturday night. Don Coscarelli and Angus Scrimm first brought life to the horror icon The Tall Man in 1979, the figure central to the plot in Phantasm. The Tall Man is a menacing mortician with a grotesque stare and superhuman strength. He can transform the dead into zombie dwarfs that do his evil bidding. And his weapon of choice is a deadly silver sphere that he sends flying after his victims. Don Coscarelli and Angus Scrimm would go onto do three more sequels together. These included 1988's Phantasm II, 1994's Phantasm III: Lord of the Dead and 1998's Phantasm IV: Oblivion. Angus Scrimm also appears in the fifth chapter of this popular horror series, Phantasm: Ravager, which is said to be in post-production and doesn't have a release date yet. Angus Scrimm was actually born under the name Lawrence Rory Guy, originally hailing from Kansas City, Kansas. He went onto study theater at USC in Los Angeles. While he set out to be an actor, making a living at the craft was hard, and he eventually wound up working at Capitol Records, where he wrote liner notes for such iconic acts as Frank Sinatra and The Beatles. He even won a Grammy award for best album liner notes. Don Coscarelli and Angus Scrimm first met and worked together on the 1976 film Jim, the World's Greatest, where the actor is actually credited as Rory Guy. But it was his role as The Tall Man in the first Phantasm movie that brought Angus worldwide recognition as a horror icon. Phantasm: Ravager is said to be getting a proper release date later this year. Star Wars: The Force Awakens director J.J. Abrams and his Bad Robot production company recently completed a 4K resolution restoration of the original Phantasm, which is also getting released sometime in 2016. Don Coscarelli had this to say about his friend's passing. "Angus Scrimm passed away peacefully tonight surrounded by his friends and loved one. [His] performance as the Tall Man is a towering achievement in horror film history. He was the last in a long line of classic horror movie stars. He was a terrific actor and an even better friend. He will be missed." Phantasm: Ravager will be Angus Scrimm's final movie. He also starred in Don Coscarelli's John Dies at the End, which was released in 2013. A cause of death was not mentioned. Angus Scrimm will certainly be mourned by fans, and celebrated at horror festivals for decades to come.